We gladly welcome you on a trip to MAYONG Village in exploring the natural beauty and traditional Balinese life. 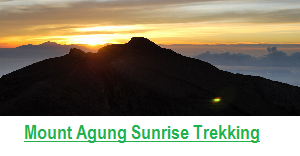 Mayong is on the route of Tourism area of Bedugul – Munduk towards Lovina or West Bali. Mayong village is 20 km west south of Lovina away from the busy world. It is small village situated among the rice field, tropical fruit tree . The village keep it’s traditional way of life like farming on the rice field , cattle breeding, growing fruits, vegetable and daily routine of offerings and ceremony. Historically Mayong village is estimated to have existed since centuries when Hindu Priest from Java came to Bali. This can be evidenced by view historical relics and some form of sarcophagi ( stone staircase) as a place of worship. Culture and Nature village in north of Bali with Beautiful Landscape with Hectares of Rice farming on the slope of the hill, and Experiencing the real Daily life of Bali, and keep in touch with Local Balinese People from Mayong Village. 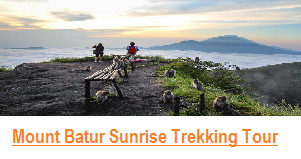 Mayong Hidden Paradise Village Tours is the best chose for you who would like to experiencing The Daily Life of Bali, and Keep in tough with Local Balinese People, especially Local Villager of Mayong Village. 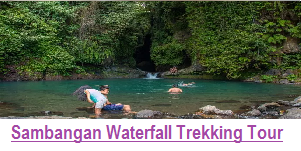 Mayong village Tour package also can be combine with visiting Munduk Waterfall where you will walking thru the rainforest planatation such as Coffee, Clove, Bamboo, Cacao, Durian etc before you reach the cold breeze waterfall. We gladly welcome you on a Walking Trip to MAYONG Village in exploring the natural beauty and traditional Balinese life. It is small village situated among the rice field, tropical fruit tree and geographically with plateaus , valleys and natural atmosphere of countryside. The village keep it’s traditional way of life like farming on the rice field , cattle breeding, growing fruits, vegetable and daily routine of offerings and ceremony. Historically Mayong village still has a unique historical relics and some form of sarcophagi ( stone staircase) as a place of worship. Eco & Green Tourism is Motto of developing Village Tourism . 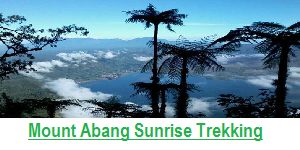 It is not just a usual Trek but also a Social Trip where during the Trek , the guests are also invited to do social activity and care , environmental preservation or even make a visit to poor family or disabled people and sharing happiness. A warm welcome awaits you anyway ….. Mayong Trek offers some routes of Easy and Hard or Challenging that suits the Hikers to meet the guest’s comfort. 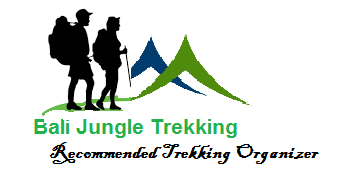 Some information will be in brief before starting the Trek given by our skilled and professional Trekking Guide. 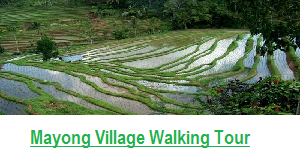 During 3 hours Mayong Rice Field walking tour you will be taken through to the Great panorama of the landscape with the tropical fruit plantation and the Rice fields and terraces Cultivate and observe the Traditional Daily way of life in the countryside. Amenities served : Fruits , Drinking Water , Tissue , Fresh Coconut , Walking Stick , First Aids. What to do and see : Upon arrival , you will be welcomed , proceed to registration , briefing and light stretching. Observing traditional way of life , Tropical Fruits and Plant , Traditional Irrigation System , Rice Terrace . Below are the Cost and the general itinerary for Mayong Hidden Village Tours, we are guarantee you will get more than what you have paid for this Experience, Not a lot people know about this Village, therefore we call Mayong Village is a Hidden Paradise Village in Bali. 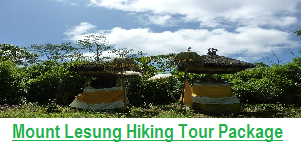 The cost for this Private tour Experience is USD$49/person ( Minimum 2 persons), the cost included : Return transfer with private air conditioner car, Private Guide + Porter, All trek equipment, Mineral water, some local fruit refreshment during the trek, Wet Tissue, Donation to the village, and Lunch. as we try to Limit the number of the hikers to keep the Experience personal and so all our guest get the most out of the Adventure in our village.